We’re talking about around 215,000 crossings in total, of which 130,000 are public and 85,000 are private. Not only will you be able to see each railroad crossing placed on the map inside Google’s app, but you’ll also be notified when one’s approaching if you’re in navigation mode. 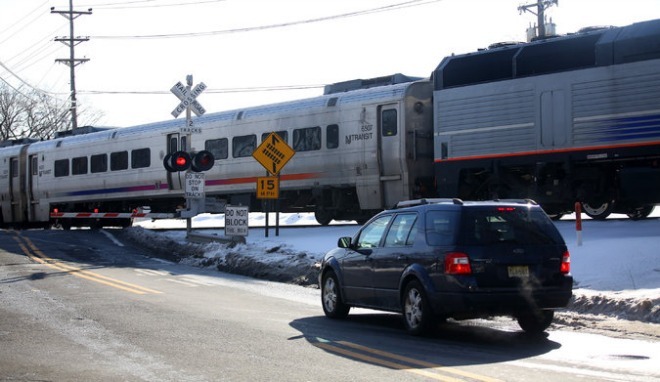 You’ll get both audio and visual alerts letting you know that you’re about to reach a railroad crossing and that you should be careful. This will prove especially useful at uncontrolled crossings, of course. The hope here is that even if you aren’t paying a lot of attention to the railroad crossing signs as you drive, the app could instantly make you aware of them before you have the chance to be hit by a train. Last year 270 people died in accidents at rail crossings, compared to 232 in 2013. 843 people were injured in such accidents in 2014. The Federal Railroad Administration has also reached out to other companies that develop navigation solutions, such as Apple, MapQuest, TomTom, and Garmin. So you may see this feature in their apps in the future too.